The Department of Environmental Protection published 64 pages of public notices related to proposed and final permit and approval/ disapproval actions in the February 9 PA Bulletin - pages 621 to 685. 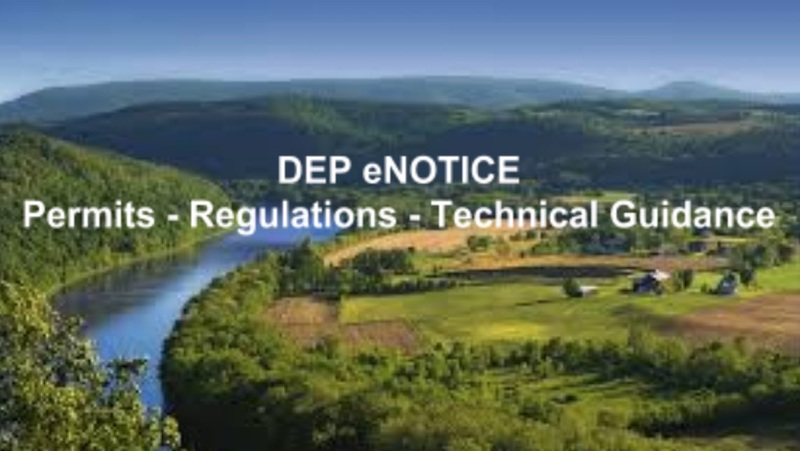 Sign Up For DEP’s eNotice: Did you know DEP can send you email notices of permit applications submitted in your community? Notice of new technical guidance documents and regulations? All through its eNotice system. Click Here to sign up.